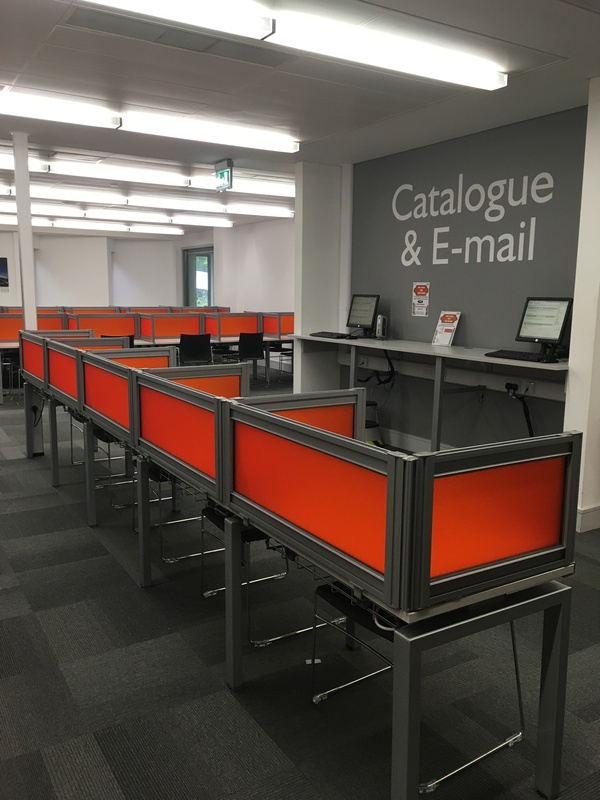 Over the summer, the Forum Library has benefited from refurbishment, improving ventilation to the Law Library and adding 97 new study seats by remodelling existing spaces across the 3 floors. A variety of new seating options are available, including 13 new bookable group study areas near the Law Library. 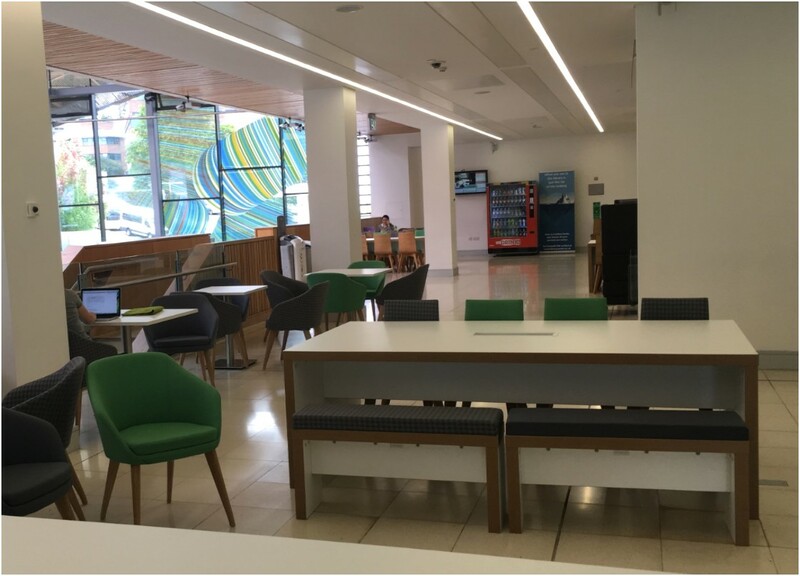 We’ve added a few illustrative pictures below, to give you a flavour of the refurbished space, but come along and explore the new spaces for yourself! You’ll find remodelled space on the Level 0 entrance level and on the balcony space on Level +1. A range of seating layouts and services are provided, to suit different study needs. More furniture is arriving to provide even more seating capacity in these areas in the first few weeks of term. We have added an extra seating area on Level -1, providing an additional 25 seats for individual study. You’ll find them outside the Group Workroom. If you need to get your head down for some individual study then these will be ideal study spaces. 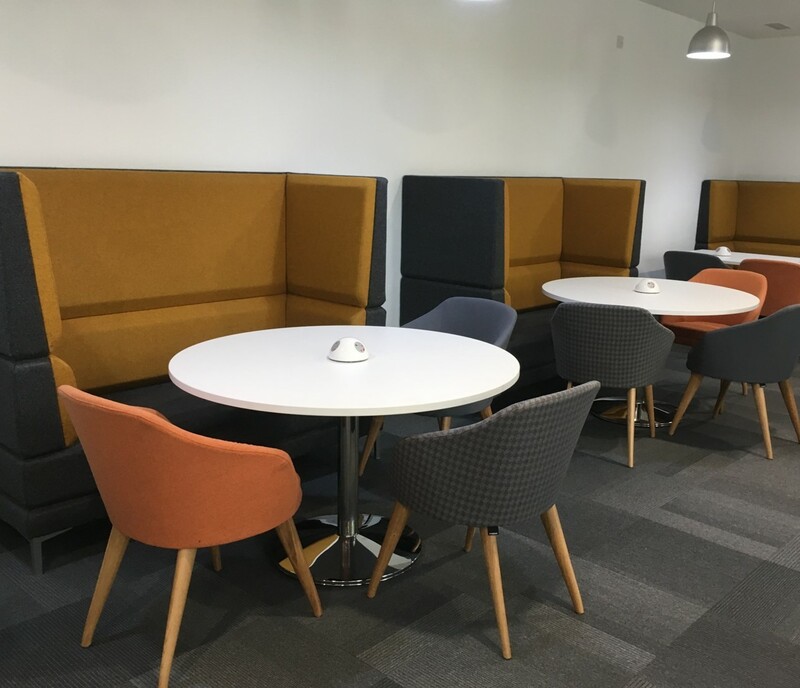 The study area adjacent to the Law Library and Library courtyard has been remodelled and offers 13 new bookable group study areas. A few finishing touches are taking place in this area over Freshers Week and Weeks One & Two. You’ll be able to book these online via the Student Room Booking service towards the end of Week Two. This entry was posted in Study Spaces on 12th Sep, 2016 by Lee Snook.